AMS’s visit to Munich’s inter airport Europe 2017 exhibition proved to be worthwhile, made all the better by an unexpected day of brilliant weather. 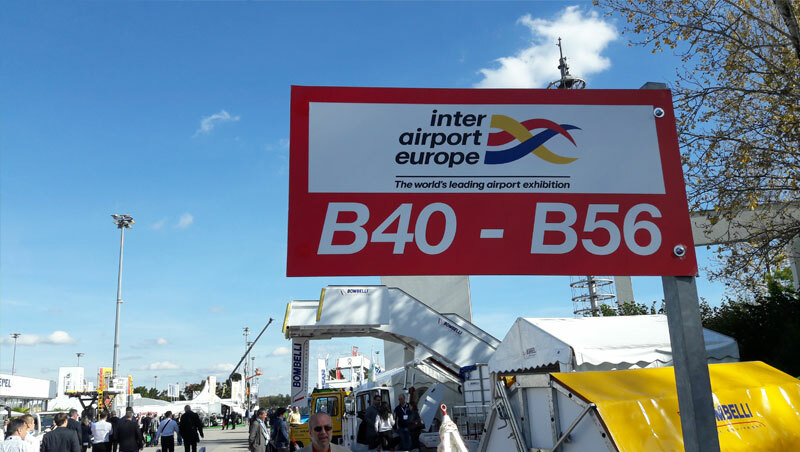 The inter airport Europe exhibition has generally brought a vast range of different aviation businesses, sales agents and distributors together and 2017’s event was no exception. AMS’s delegation made the trip to meet a number of our current sales agents to discuss how we can continue to support their marketing efforts across 2018. With 10 videos now available on our dedicated You Tube Channel, we have a fantastic visual medium to promote AMS’s aircraft recovery equipment and aircraft recovery training facility in the U.K.
We have also introduced multiple language overview pages to the AMS website. The first three are in Spanish, Russian and Portuguese, with French being added in November. The trip also proved worthwhile for other reasons too, as we held meaningful talks with potential new strategic alliances, to look at expanding the range of equipment AMS already provide. All-in-all a highly successful visit that has helped us to continue our marketing and expansion plans for 2018. If you attended the exhibition and did not get the opportunity to meet with us there, please get in touch by calling us on +44 (0)20 3289 9320, or contact us using the form on our website.